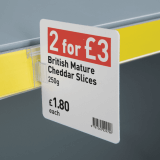 If your store has many shelves for customers to find what they are looking for, then it's vital to use Shelf Edge Ticket Holders to help them find specific items. 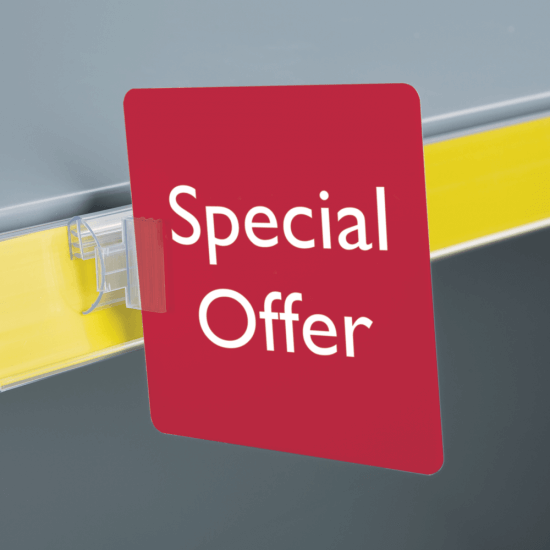 This is a great way of making promotional offers or prices stand out from your shelves as you can display a sign at an angle that is easy to see. What material is the ticket holder? 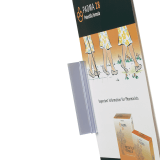 The holder is manufactured from co-extruded clear PVC. Yes, you can adjust the ticket holder to different angles at 90 Degrees to the shelf. What size edge can the holder fit onto? 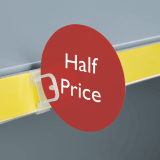 The holder fits onto shelf edges up to a maximum of 4mm thick. 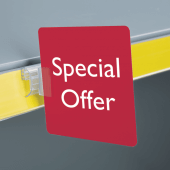 The Shelf Edge Ticket Holders are supplied in quantities of 100.